← WHY IS THERE A DEAD RAT IN YOUR CAR? Spoiler alert: there wasn’t. We got a new pet, and it cleans up after itself! I keep saying you “can’t put a price on amusement” (usually when I’m trying to justify the ridiculous amount of money we spend on the chickens and ducks) but it turns out you can, and it’s the price of the new iRobot Roomba. We got our new Roomba on Wednesday and I COULD NOT be more excited. Her name is Rosie (like the maid from the Jetsons) and she is awesome. She’s like a pet who ACTUALLY DOES HER SHARE OF THE WORK. The other animals could take a leaf out of her book. We followed her around the house watching her clean, and it was pretty clear she has a fantastic personality. 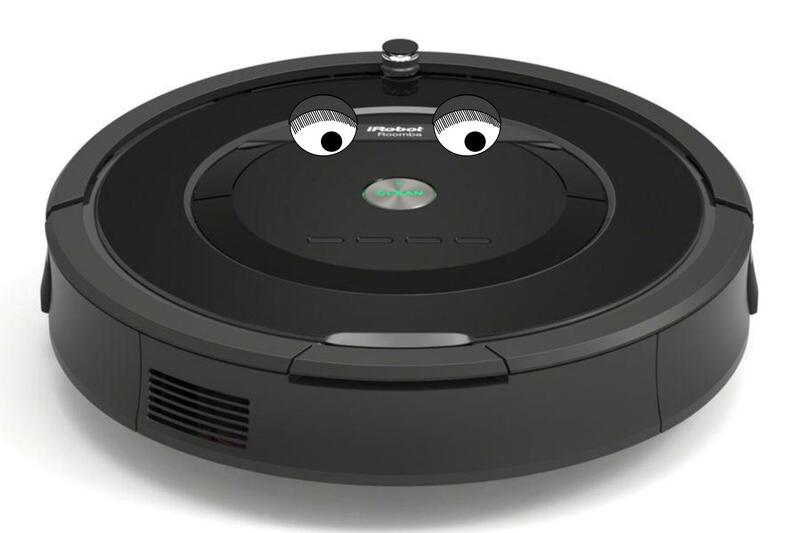 Don’t even try and tell me robotic vacuum cleaners don’t have a personality, or I’ll make you come over and meet her. She likes to zoom at the horrified dogs and spin around in happy circles before she takes off for the next room. She loves her job. Sorry about your floor. You’ll need to get her housebroken.